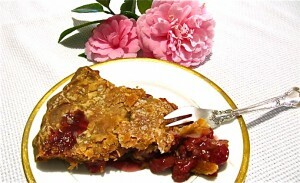 The provocative aroma of the vanilla envelops the cranberries in this tart-sweet combination. 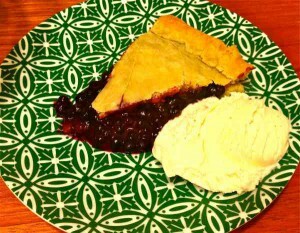 You may serve the tart with a dollop of whipped cream flavored with vanilla and confectioner’s sugar or a scoop of vanilla ice cream. For the pastry, if you do not have cake flour in your cupboard, use one cup of all-purpose flour instead. For the filling, if you cannot find fresh cranberries, use one bag (12 ounces) of frozen berries straight from the freezer. In fact, buy several bags of cranberries when in season and freeze them for use throughout the winter months. To make the pastry crust, place the flour, cake flour, sugar, and salt in a bowl. Cut the butter into pieces the size of a tablespoon and add to the bowl. Toss to coat the butter with the flour and work the mixture to a coarse meal using a fork, pastry blender, or your fingers. Add the ice water and vanilla extract and work to form a loose ball. 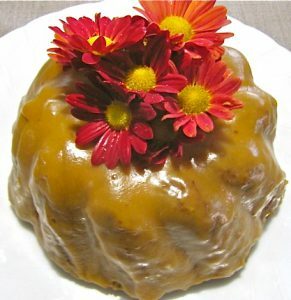 Flatten the dough into a cake, wrap in plastic, and refrigerate it for at least 30 minutes. 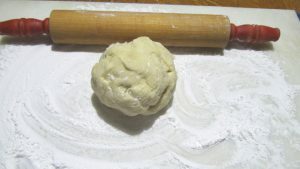 The dough may look a little ragged, but it will come together when rolled out. While the pastry chills, make the vanilla syrup. Place the water, sugar, and lemon juice in a 2-quart saucepan. Scrape the seeds from the vanilla bean and add to the pan along with the bean. Bring to a boil over medium heat, swirling the pan occasionally. Do not stir the syrup while it is cooking or the sugar may re-crystalize, but you may swirl it in the pan. Once the syrup has boiled, lower the heat and simmer the syrup for 10 minutes. Remove from the heat and cool slightly. Add the salt and vanilla extract and swirl in. The syrup may sputter a little. Add the cranberries and stir to coat the berries with the syrup. Once you have added the cranberries, it is fine to stir the syrup. 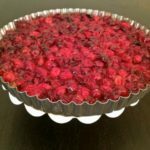 If you are using frozen cranberries and they harden in the syrup, don't worry, they will loosen up as they wait for the pastry to be rolled out. Set the pan aside. Butter a 9- or 10-inch quiche or pie pan. 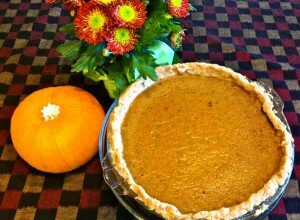 Roll out the chilled dough into a circle about one inch larger than the pie pan. Fold the dough into quarters, transfer to the pie pan, unfold the dough, and fit it into the pie pan using the back of your hands and press the dough into the corners with the back of your index finger. Press the dough into the sides of the pan and trim the edges. Refrigerate for another 30 minutes to rest the dough. While the dough rests, preheat the oven to 375°F. Remove the pastry shell from the refrigerator. Stir the reserved cranberry-vanilla mixture, including the vanilla beans, and pour into the pastry shell, scraping all the syrup out with a rubber spatula. 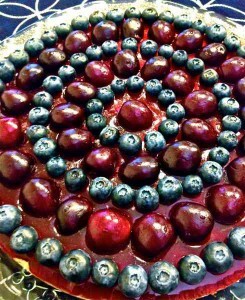 Bake the tart on the center rack in the preheated oven for 40 to 45 minutes, or until the pastry is golden and the filling is soft and juicy. Transfer to a rack, remove and discard the vanilla beans, and cool the tart to room temperature. Serve in wedges either alone or with a dollop of vanilla whipped cream or ice cream. *In the spring and summer months, make this tart with rhubarb, nectarines, or tart plums. *Add 6 ounces of milk chocolate, broken into small squares, to the tart before baking.